When people see a home, its exterior and landscaping are its first impression. Curb appeal is essential for attracting potential buyers, but many homeowners make mistakes when preparing their home's exterior. 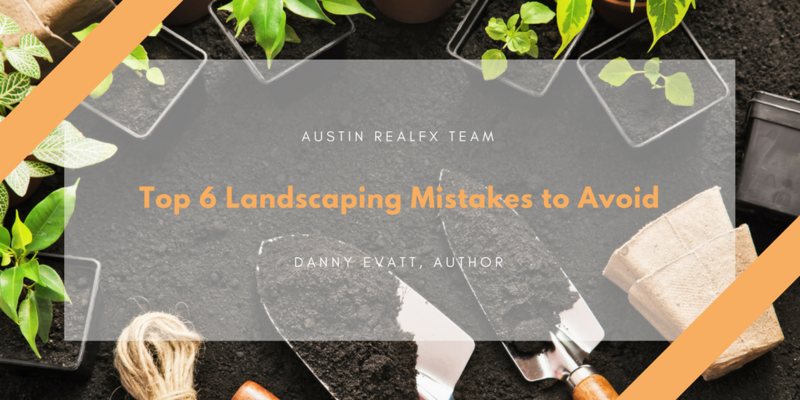 Here are some of the most common mistakes homeowners make regarding their home's landscaping and curb appeal and how to avoid them. While the home's gardens may be the homeowner's pride and joy, it may seem overwhelming to a buyer who doesn't do a lot of gardening. Many people don't have the time or money to maintain large gardens filled with annual plants that need to be replaced as soon as the next spring arrives. In order to make gardens more manageable to the average home buyer, try downsizing the flowerbeds, planting perennials instead of annuals, or planting native plants that require less special care. Under most circumstances, all plants in the gardens and the lawn should be healthy and alive, with the only exception to this being if it's the middle of winter. Even if it's Autumn and the plants have reached the end of their lives, homeowners can still go through the garden and clear it out of any dead sticks and leaves to make it look neater. When buyers come to see a home, they keep track of everything they want to change and everything that needs to be fixed. If the home has a lot of problems like peeling paint, old windows, or a cracked driveway, these all count against the home. When a buyer purchases a home, they want to spend as little money possible fixing its faults afterwards. Before putting a home on the market, be sure to fix everything that could possibly turn buyers off. Things like kids' toys, bags of mulch, unplanted flowers, and so on can all create eyesores if they're left about the yard, and they can also distract buyers from focusing on the good parts of the yard and garden. On days when there are scheduled showings, be sure to take a quick walk around the yard looking for things that are out of place so there's little to take buyers' interest away from the home. To many people, a car in the driveway isn't an issue. After all, that's where people are supposed to park their cars, isn't it? Yes, but when buyers come to the home for a showing and see one or more cars in the driveway instead of in the garage, it may lead them to believe there's not having enough interior storage. Having cars in the driveway can also get in the way of visitors seeing the home, especially in photos. When living in a neighborhood, like Leander, it's a common expectation that all the homes in it should follow the same basic aesthetic. So when every house in the row has neutral paint colors and the home for sale is bright blue, it sticks out. Paint choices like these can turn off buyers because it's something they will more than likely want to fix as quickly as possible. In order to appeal to a broad range of buyers, be sure the home's exterior paint fits in with all the other homes in the neighborhood. These are some of the most common mistakes homeowners make when preparing their home's exterior for selling. Be sure to take these into account and consult your real estate agent for extra advice.